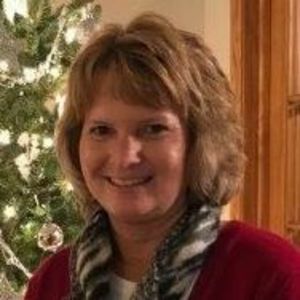 Tanie J. Smith, 48, of Ankeny passed away December 3, 2018. She courageously battled cervical cancer for 3 years with support from her family and friends. Her favorite quote was "You never know how strong you are until being strong is the only choice you have"
A visitation will be held 6:00 p.m. to 8:00 p.m., Thursday, Dec. 6th at Memorial Services of Iowa funeral home (4208 N Ankeny Blvd, Ankeny, IA). Funeral services will be held 10:30 a.m., Saturday, Dec. 8th, at Trinity Lutheran Church in (1011 S. 3rd Ave., Marshalltown, IA), with a visitation 1 hour prior. Tanie graduated from Marshalltown High School in 1988. She was married to Kenny Smith October 24, 1992, and together they had a son, Jacob. After moving to Des Moines, she worked in retail for a few years, and then changed careers, and worked her way into banking where she eventually became a mortgage processor in Des Moines and Ankeny. She enjoyed watching and attending Hawkeye sporting events, golfing with friends, traveling to St. Thomas, the Virgin Islands, and trips to the lake house. She especially enjoyed watching her son Jacobs sporting events, including baseball, soccer, golf, basketball, and particularly sharks baseball. Tanie is survived by her husband Kenny; a son Jacob; parents, Kendall and Lois Jensen; siblings, Allison (Doug) Niedermann and Emily (Mark) Nymeyer; 3 adorable nieces, and many friends. In lieu of flowers, memorials may be made to John Stoddard Cancer Center, Taylor House Hospice, or Trinity Lutheran Church in Marshalltown. A special thanks to Dr. Elg, her nurse Cathy, and the rest of her medical team at John Stoddard Cancer Center. Kendall and Lois, we are so sadden to hear about Tanie,my heart is so heavy. We wanted to let you know how sorry we are about your loss. We will keep you in our prayers and thoughts. We are so sorry for your loss and will keep your family in our prayers. Kenny and Jacob, We are so sorry to hear about the loss of Tanie. There are no words I can say to ease your pain. All I can say is I will keep you both in our prayers and in our thoughts. Love Walt and Teia.